Text message-based research assistants can scale much faster than apps or websites — and investors have taken notice. Riley, an automated personal assistant serving buyers and renters, is part human and part robot. Riley finds listings and schedules showings for free, and Magic does it for $22 an hour. Why search for listings if someone — or something — will do it for you? That’s the idea behind the text message-based property search assistant “Riley.” Part robot, part human, the search resource lets consumers text their search preferences to receive a bundle of curated listings; then the program schedules showings for them if they see something they like. Since almost anyone can send a text message without downloading anything, services like Riley have the potential to scale much faster than websites and apps — a fact that hasn’t gone unnoticed by investors. 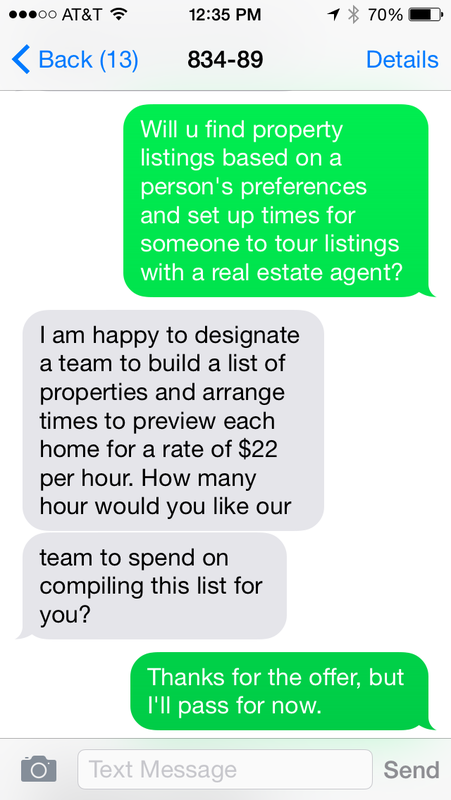 Even if Riley falls by the wayside, it’s highlighted a promising application of text messaging in real estate. “It’s really meant to be this automated personal agent that not only finds what you’re looking for in your next home but also does some of the logistics,” said Daniel Ahmadizadeh, founder of Riley. 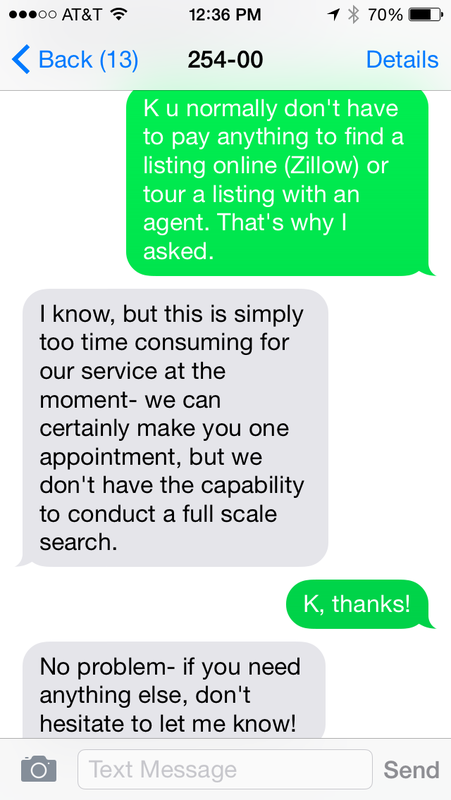 Skeptics may point out that people have been able to send text messages to find listings and set up showings for a long time: by texting real estate agents. But Riley may appeal more to some consumers than that option because it’s largely automated and creates no expectations. Riley sends automated messages to glean the person’s search preferences. Then, one of 30 people volunteering at Riley wrangles together listings that match the user’s tastes and schedules showings for the user with property managers, landlords or real estate sales agents. The plan, Ahmadizadeh said, is to later automate much of what his flock of helpers is currently doing manually. People in all 50 states have turned to the service for help renting and buying. It’s saving users an average of three hours of time, and around 35 percent are asking Riley to schedule viewings, according to feedback from users, Ahmadizadeh said. That low barrier to adoption helps explain why investors have thrown their weight behind at least two other text message-based personal assistants, GoButler and Magic, which reportedly closed recent funding rounds of $8 million and $12 million, respectively. Tapping e-commerce sites and on-demand services, the startups let users order just about anything via text, including flight and hotel reservations, groceries and drivers. There isn’t any obvious indication that these services won’t track down listings or real estate agents for users. Part of Teke Wiggin’s conversation with GoButler. Magic, on the other hand, offered to “build a list of properties and arrange times to preview each home” for $22 per hour. “How many hour (sic) would you like your team to spend on compiling this list for you?” Magic asked, displaying some human error through a grammatical mistake. Part of Teke Wiggin’s conversation with Magic. Riley, which is free to consumers, isn’t currently charging real estate agents, property managers or landlords for any leads, but that might change in six months, Ahmadizadeh said. To generate revenue in the meantime, Ahmadizadeh said Riley will sell leads to moving companies, storage services, cleaners, rental insurers and other real estate-related services.